If you’ve seen some of my older posts you’re aware of my time spent in Puntarenas, Costa Rica, however, you may not know that the semester prior I had studied in Spain. In fact, I initially applied and prepared for the yearlong program in Bilbao/Getxo. It wasn’t until weeks before the end of the fall semester that I had spontaneously switched programs. Another misconception is that studying abroad is too costly. USAC is a nonprofit and many of their programs are cost equivalent, if not cheaper, to some universities tuition. After applying to USAC’s general scholarship and my universities general scholarship, I received about $8,000. Knowing that I wanted to study abroad since high school, I had saved a decent amount of money as well. I organized a “Bon Voyage” BBQ, invited friends and family and encouraged them to help sponsor my trip. I received around $3,000 from this. I was still a little short and was afraid to get abroad and not have enough money to really travel or experience things, so I took a subsidized loan from my university. Loans are not as scary as they’re made out to be… if you do it right. In fact, it can a great way to build up your credit for future purchases! 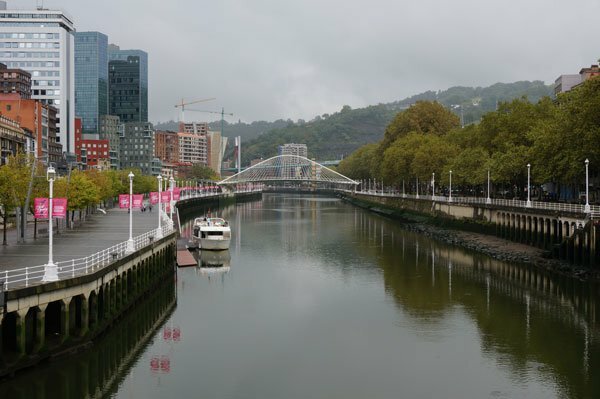 Now that we got the fears of studying abroad for a year out of the way, let’s talk a little about what an incredible city Bilbao is. Located in northern Spain, in the heart of the Basque Country, rests this growing city. Years ago it was famous for its industrial production, but in recent years it has developed into a cultural, must-see city. 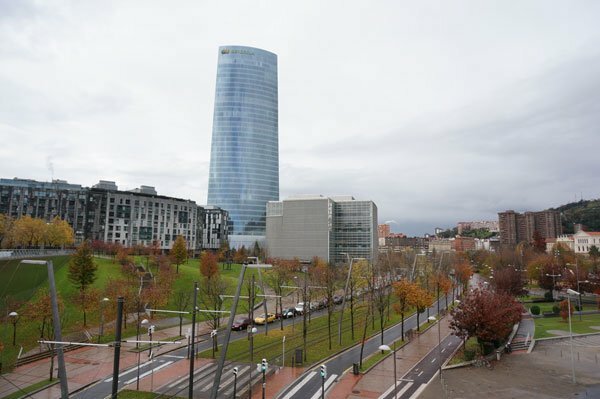 With the addition of the Guggenheim Museum, Athletic Bilbao Stadium, business/education institutions and other attractions, Bilbao is appealing to a younger, more motivated crowd. As a business/Spanish student and travel/ sports enthusiast, you can imagine why I adored this place. UPV, the university we studied at, was gorgeous. The staff was always helpful and friendly, and Ibon, the Resident Director, was always eager to accommodate our needs. 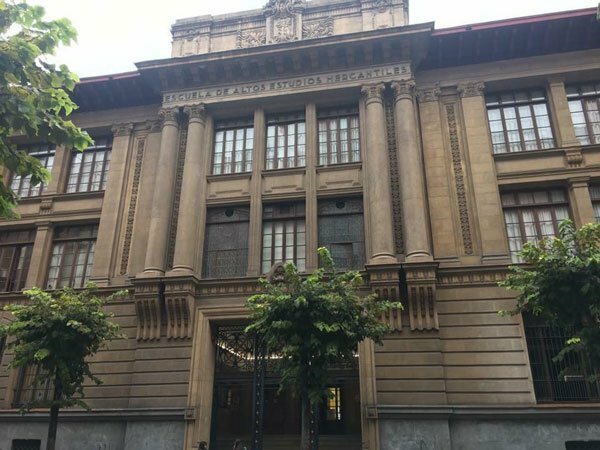 Bilbao/ Getxo is a specialty program, meaning it is language intensive, has a discipline concentration (business), and pretty much only serves USAC students. At first, I was disappointed to discover that my classes were filled with only American students, then had the “duh” moment when I realized a local college student probably didn’t need to take Elementary 1 Spanish. Luckily, there are plenty of other ways to meet locals outside of school. 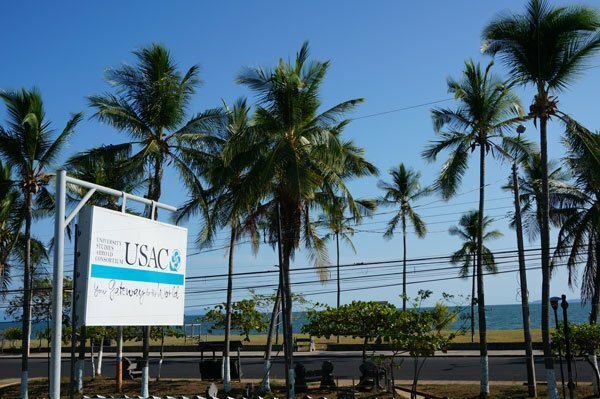 USAC assistants organize intercambios. Intercambios are local students who want to practice English. The two of you get together once a week (or however frequent you desire) and split the time speaking Spanish and English. I was also fortunate to have a host brother my age who introduced me to his friends and other local students. Most of the foreigners I met and made friends with were through ESN. ESN is basically the USAC of Europe. 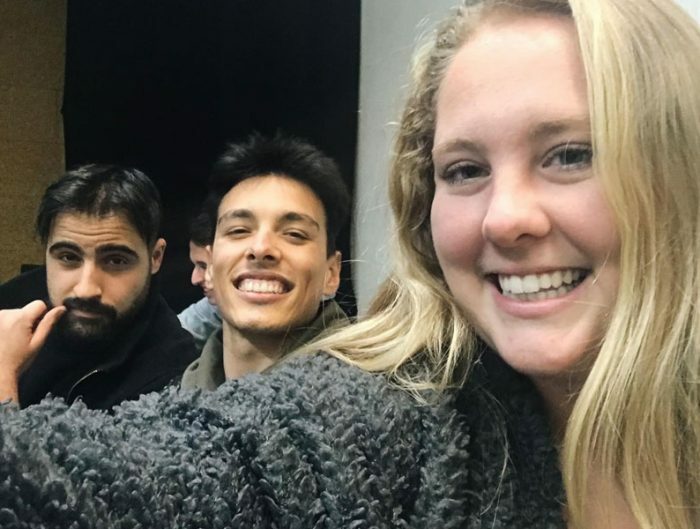 This program has an office in Bilbao and organizes numerous events for their students and always encourages American students to participate. Now let’s jump to Puntarenas, Costa Rica… need I say more? Anyone that’s spent some time in Europe in the winter is probably familiar with how cold it can get. It was a rainy/windy morning that it dawned on me… I could be on a beach. Next thing I knew I was crossing the Atlantic on my way to the beautiful, tropical paradise also known as Costa Rica. 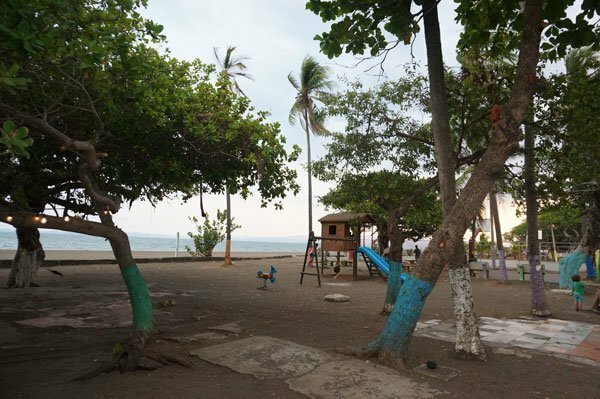 Puntarenas is a hot beach town hidden in the Gulf of Nicoya. It is rather small, easy to navigate and quick to become familiar with. Costa Rica is famous for its jungle adventures, beaches/surfing, coffee, exotic animals and beautiful culture, all of which convinced me to go. In Spain I took Track 1 Spanish, Global Economics and Management and Leadership, all equaling about 18 credits, and in Costa Rica I took Track 2, Spanish Conversation, Latin American Cuisine and Latin American Dance, all equaling about 17 credits. The Track system is the same in both countries (course wise), however, the difference in Castilian Spanish and Latin American Spanish vary greatly. Although there was an obvious transition period, I did do significantly better in my courses in Costa Rica. Perhaps it was because I already had some of the fundamentals of the language or maybe I learned better with my Costa Rican instructors teaching style. 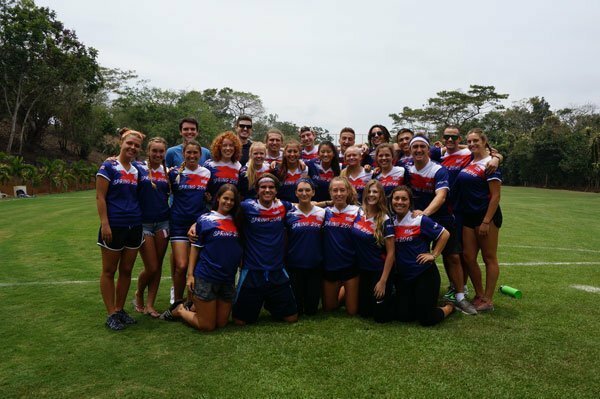 It’s also more similar to the Spanish I hear back home and all of my courses in Costa Rica involved learning or practicing Spanish, so maybe that had something to do with it too. Nonetheless, I think studying abroad in both locations has more virtues than vices, but the transition of the two was challenging at first. Living with a host family in Spain I had the opportunity to appreciate the interactions of the family and the average way of life. I felt that by the end of the first semester I had a thorough understanding of the location and the culture. I wanted to be challenged again. See new places, meet new people and continue learning Spanish. This was another reason I went to Puntarenas. After all, what could be more different than the historic, royal Spain, than a beach town in Latin America? This assumption held to its truth. Every aspect of Costa Rica differed from Spain, which is exactly what I was hoping for. Many students want to study abroad to “gain independence”, but I was already independent. I wanted to study abroad to become well-rounded. 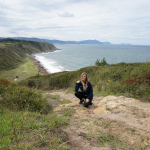 By living in Spain I was exposed to riches, history, and lived with a successful family. In Costa Rica, I was surrounded by families that all pull together to make ends meet. Both locations have rich, beautiful cultures I feel fortunate to know and incorporate into my own life. 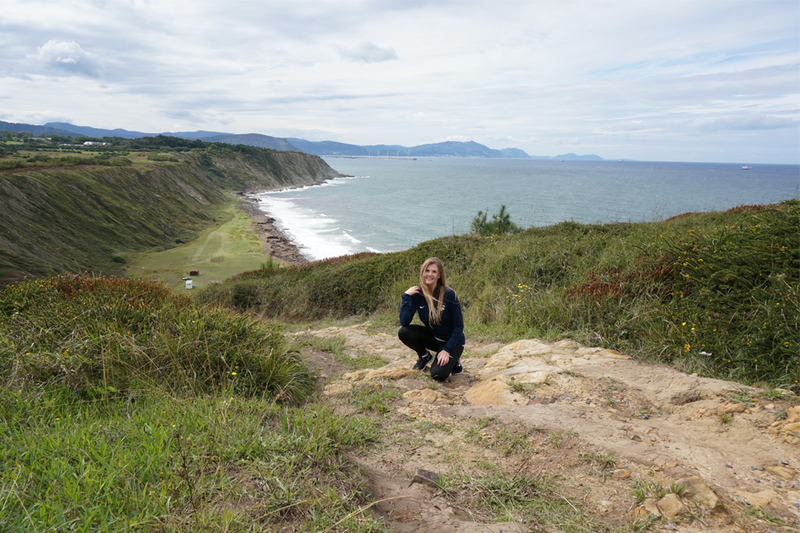 During my time in Bilbao, I did some traveling. My favorite travel memory in Europe was finding my “long-lost” relatives in Germany. After harassing (I use this term lightly) at least half of the country, I managed to get an email connecting me with family that hasn’t been seen or talked to since my grandfather left Germany during World War 2. Due to the email responder’s lack of enthusiasm, I anticipated maybe a lunch meeting, which would probably be awkward. Nonetheless, I booked a month trip to Nuremberg (I was hopeful). Every day I was there I had grandparents, aunts, uncles, and cousins organizing things for us to do. 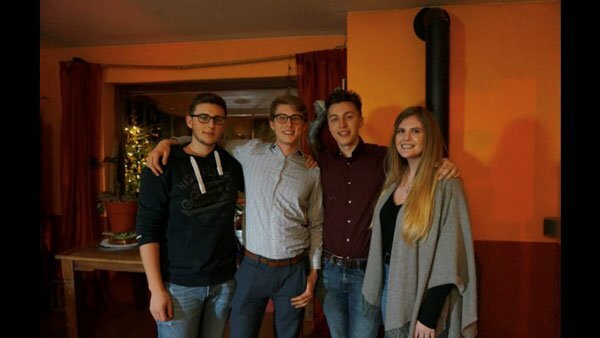 I ended up spending Christmas with them and met up again in Poland for a family vacation. One of my cousins is looking to study abroad in the USA this coming year. In Bilbao, I felt that there was so much to do, places to go, and so many students that our engagement with the school was less frequent. On the contrary, in Puntarenas, the staff organized field trips, we’d go grocery shopping together, we had Zumba, soccer, volleyball, movie nights, game nights, coffee and conversation, etc. The staff went out of their way to be involved in our daily lives, and the experience as a whole was more personal. Studying abroad for a full year provided me enough time to break out of my normal routines, habits, and prejudices. The experience of both programs broadened by cultural understanding and made me more motivated and humble. 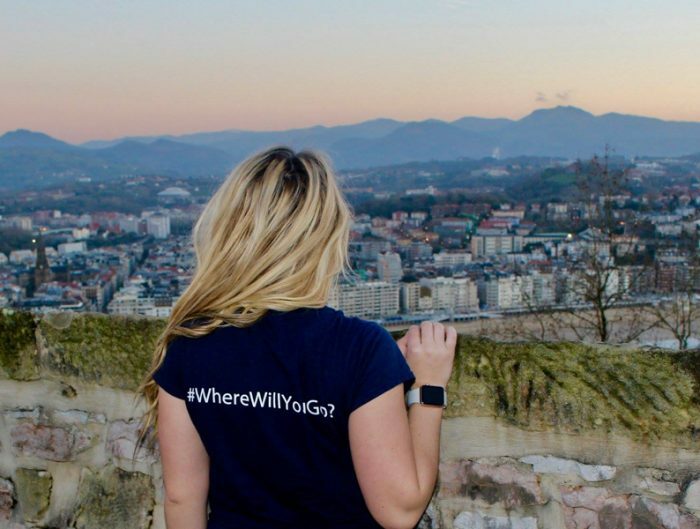 The year goes by so fast and before you know it you’re back in the States reminiscing on your home abroad… and if you’re anything like me, you’ll be using your work breaks researching your next study abroad location. Hi Kimberly, that’s great that you already know you want to study abroad! I’d say your best bet is when you get to college let your academic advisor know that you want to study abroad. The earlier they know the better it can be worked into your college schedule. From there you can start researching where you may want to go, what classes you’d take and which provider you’ll go through. When the time comes we’ll be here!